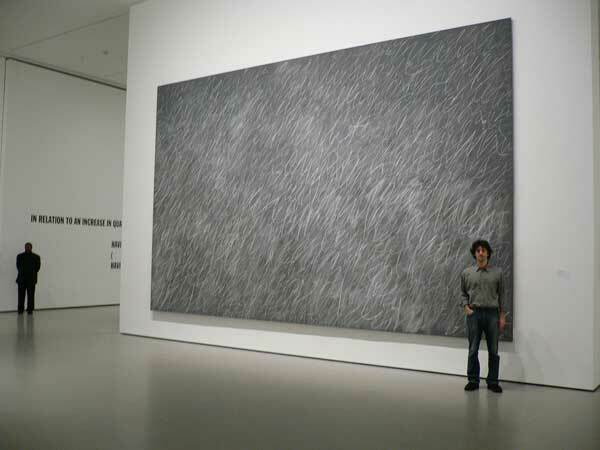 Jason Oliva in front of a Cy Twombly, MOMA NYC sometime ago. Sad day one of the Three Titan’s: Rauschenberg, Jasper Johns and Twombly. I stole two things from Twombly…first – dont give a crap about what the differences between painting and drawing are and two go where art takes you. Next ‘Two Houses’ Sold painting by Jason Oliva circa 2002 NYV Doctors waiting room.